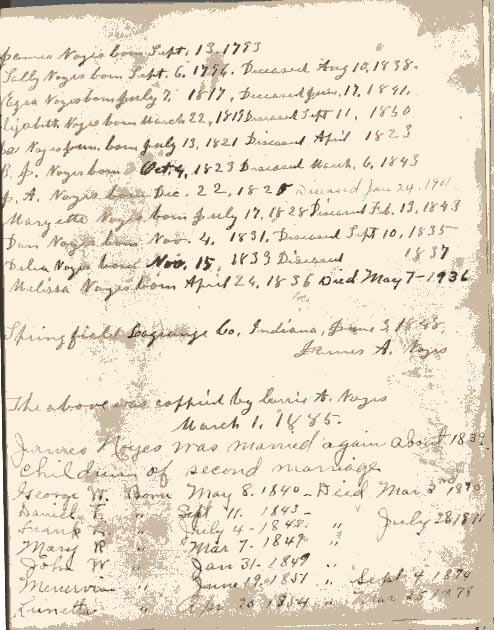 The record of James and Sally Noyes’ children, as written by James Allen Noyes can be observed here. This document was copied by Carrie Atwell Noyes. 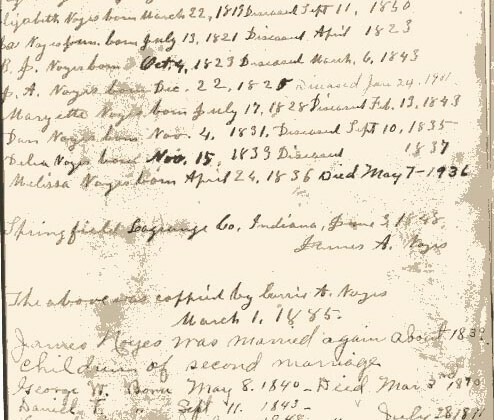 I will continue my transcription with the record of children born to James’ second marriage to Susan Waters. James Noyes was married again about 1839. Children of second marriage.